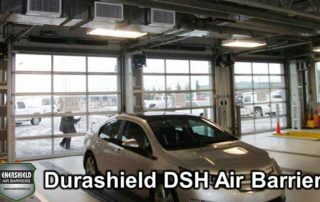 Get an overview of the one-of-a-kind articulating nozzle and other unique features incorporated into Enershield Air Barriers/air curtains that are best suited for industrial, retail and commercial applications. 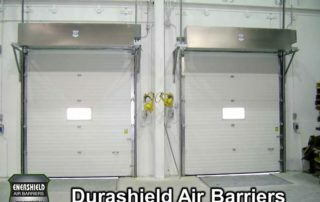 Air barriers are a great way to essentially keep your doors open and closed at the same time. 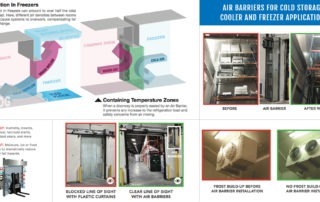 Highly applicable for cold storage, pharmaceutical and food facilities that need to adhere to strict government safety regulations. 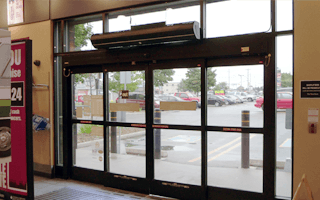 • Enhance comfort for your workers and customers: Keep excessively warm/cold air out of your facility by sealing off up to 90% of outside air. 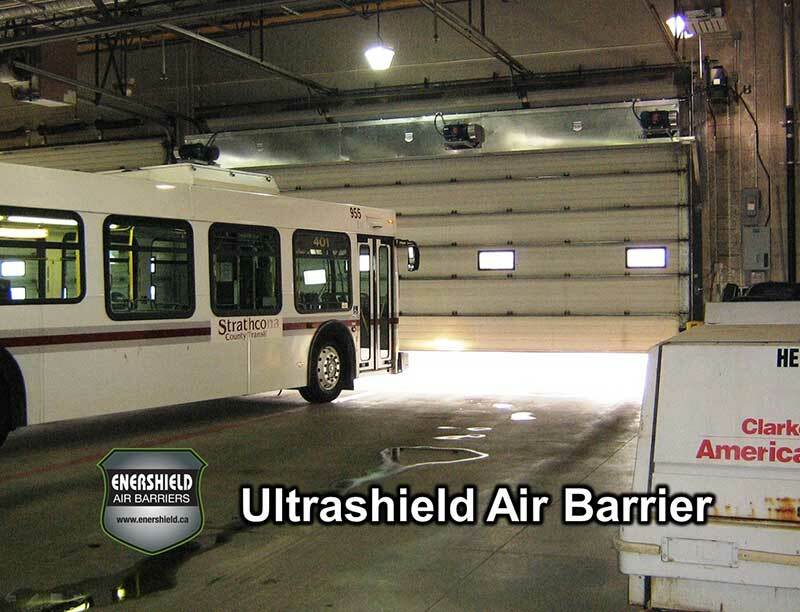 • Save on energy costs: Enershield Air Barriers save 15-20 units of energy for every 1 unit consumed. 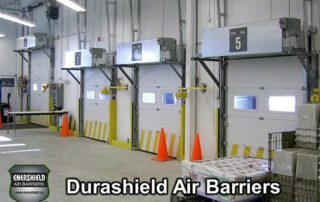 • Increase worker productivity: Reduce lost work hours due to illness from prolonged exposure to drafts. 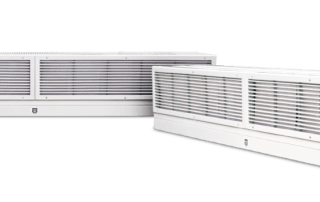 • Extend the life of your HVAC system: Heating and cooling equipment does not need to cycle as many times with an air barrier. 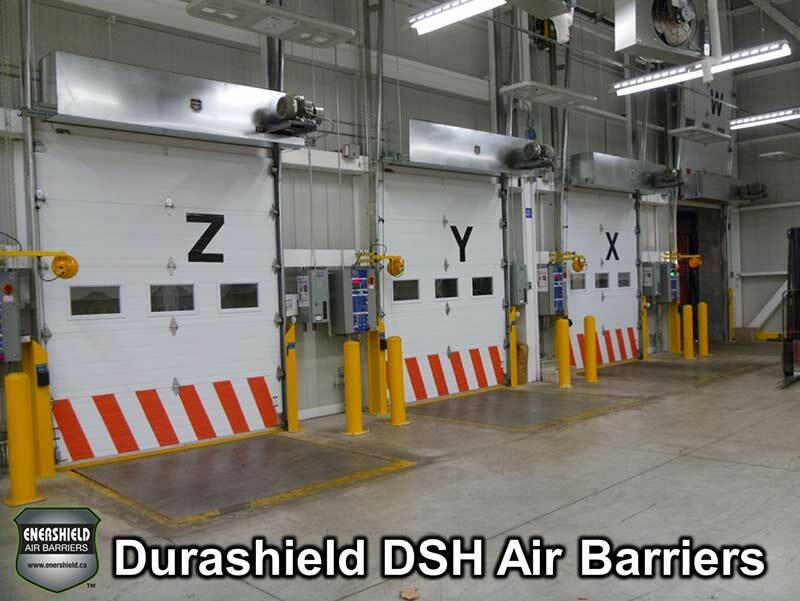 • Adhere to safety regulations: Keep out contaminants (extreme weather, dust, insects, truck exhaust fumes, etc.) 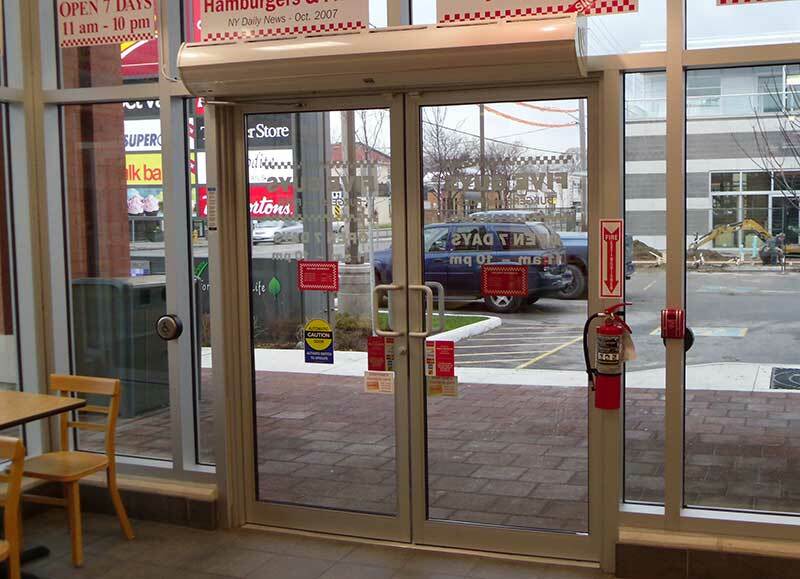 and remain compliant with strict food and safety regulations. 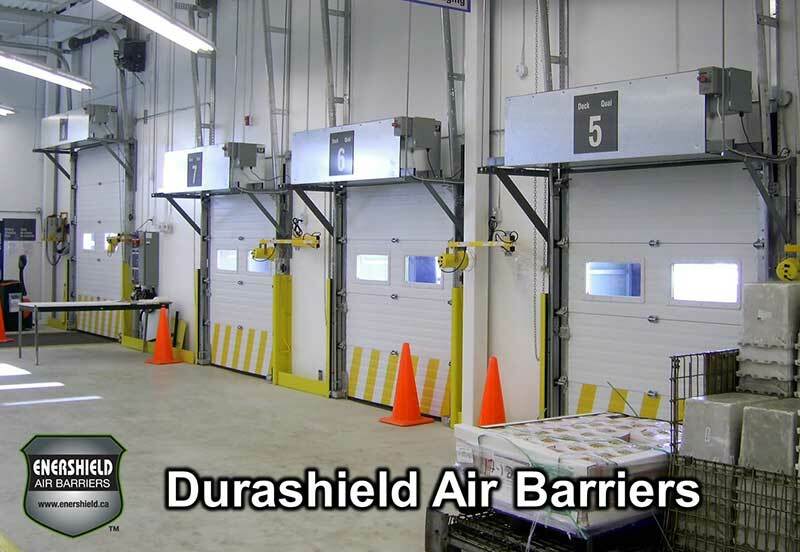 • Improve worker safety: Prevent moisture build-up on the floor from condensation. 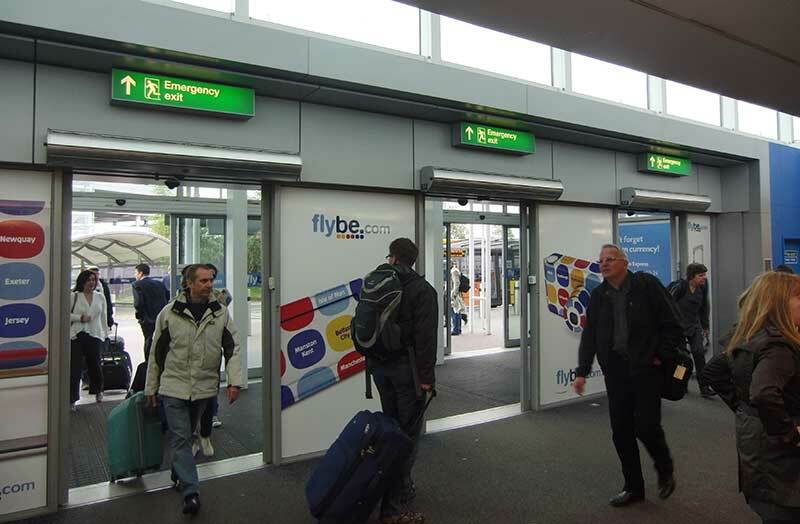 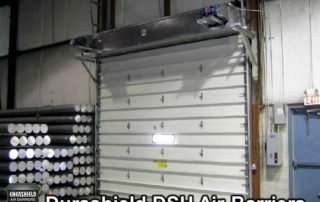 Enershield Air Barriers operate efficiently and outperform any other air curtain or air door on the market by a wide margin. 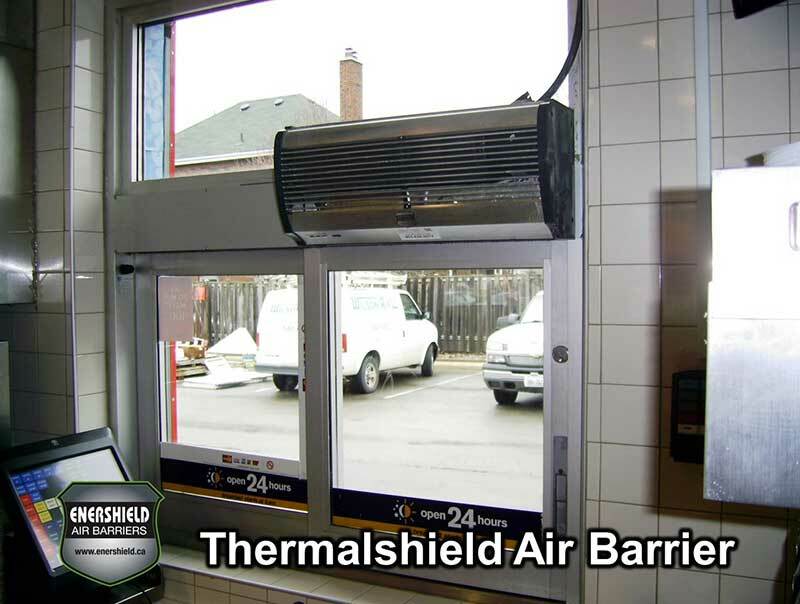 With these energy-efficient air barriers, you’ll dramatically enhance your indoor comfort while saving money. 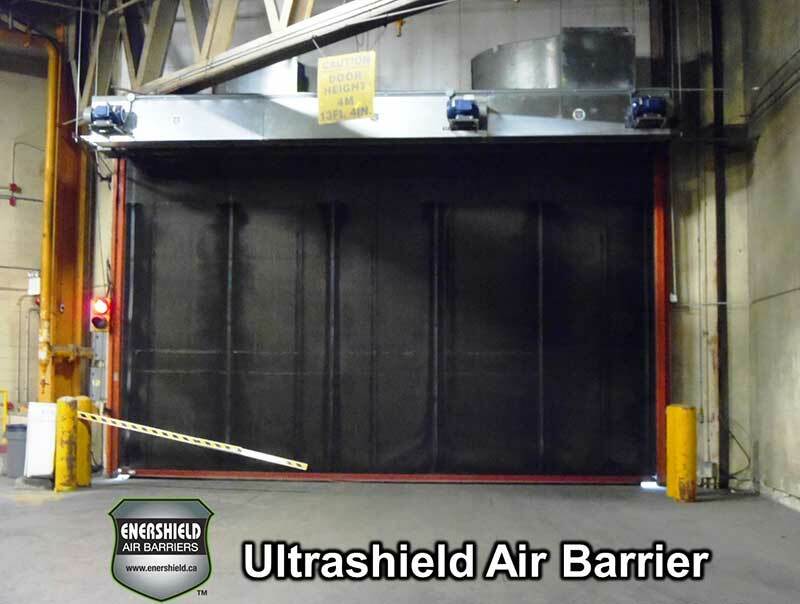 Enershield Air Barriers have proven to provide a return on investment within an average of two years and have a total lifespan of up to 20 years on direct drive and belt drive models. 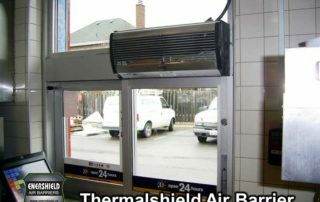 The thermal imagery below shows how Enershield air curtains create a strong environmental separation. 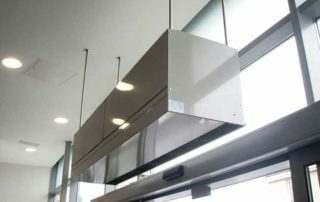 With the cost of energy continuing to rise, heating and cooling costs are becoming more costly than ever. 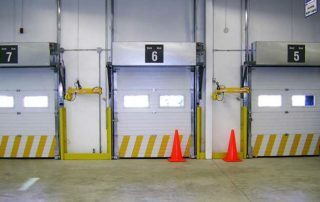 If you are a business that keeps your doors open multiple times a day to load/unload materials or have a high amount of foot traffic, your energy costs are even greater. 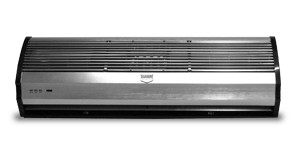 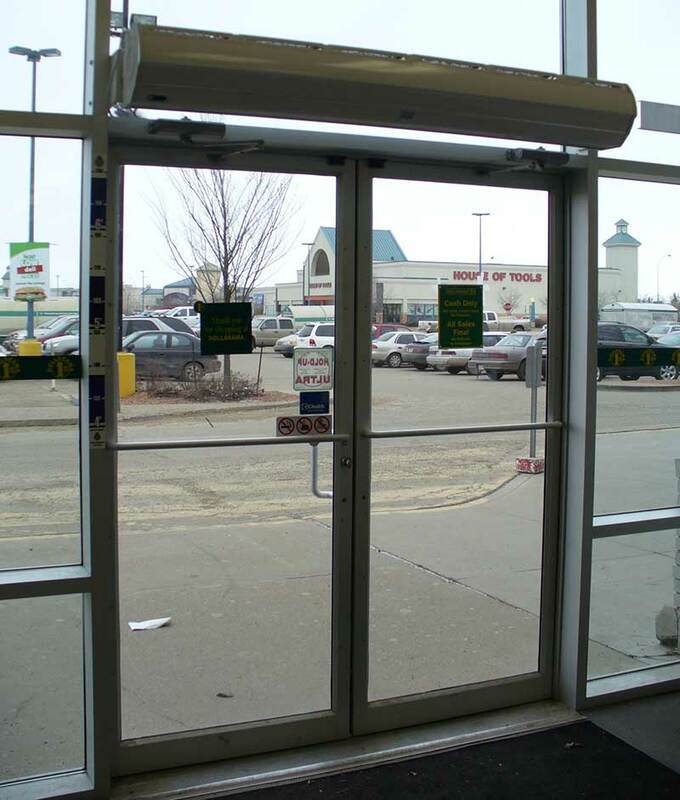 Enershield air curtains are custom-made for each doorway to ensure a seal up to 90%. 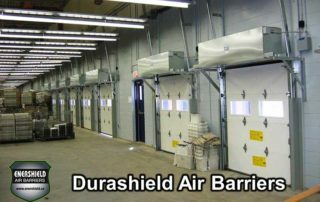 These air barriers also maintain air speeds of 800 fpm above the ground, which creates an ideal environmental separation between outside and inside air temperatures, saving you money on heating and cooling costs. 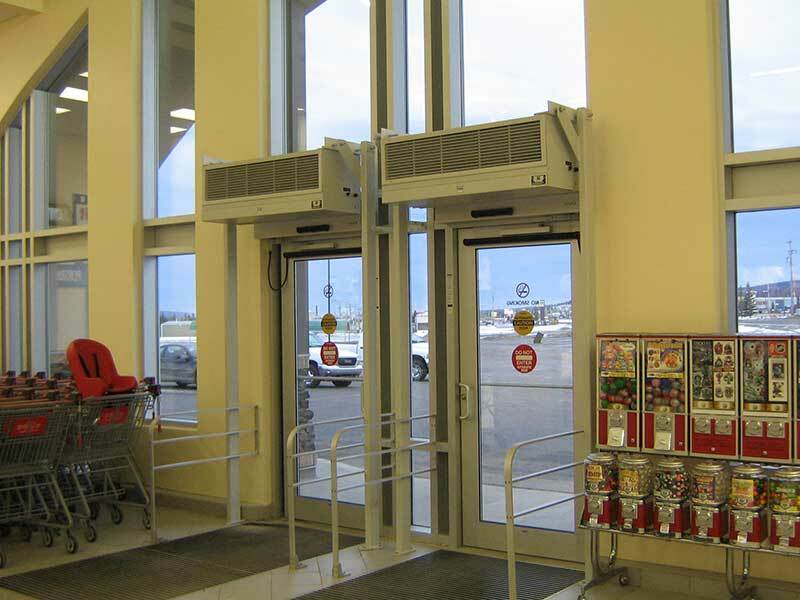 • Enhance indoor comfort and safety for workers and customers. 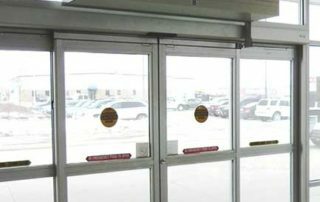 • Keep out inclement weather (extreme heat/cold, rain, snow and humidity). 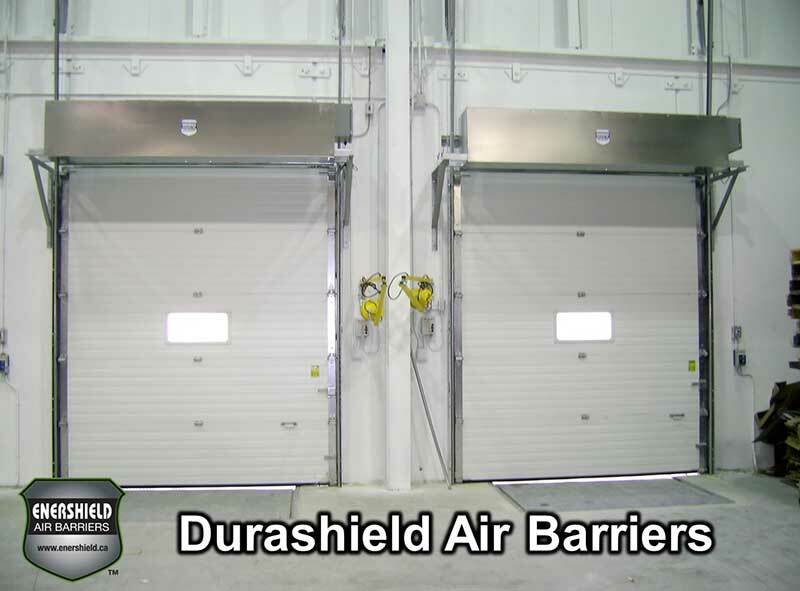 • Prevent contaminants from entering the facility, such as bugs, dust, pests and exhaust fumes. 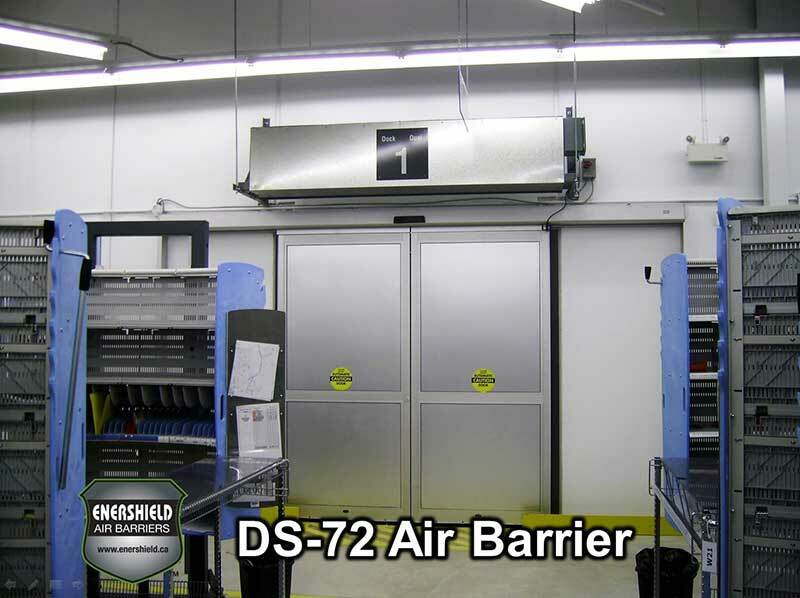 • Reduce stress on HVAC systems, increasing their longevity. 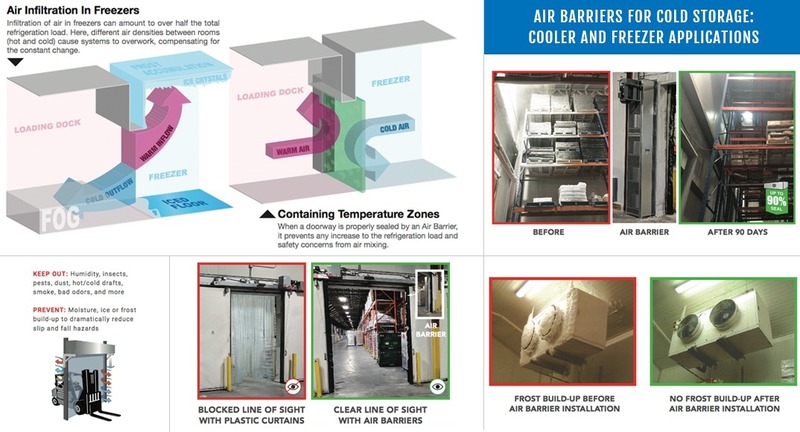 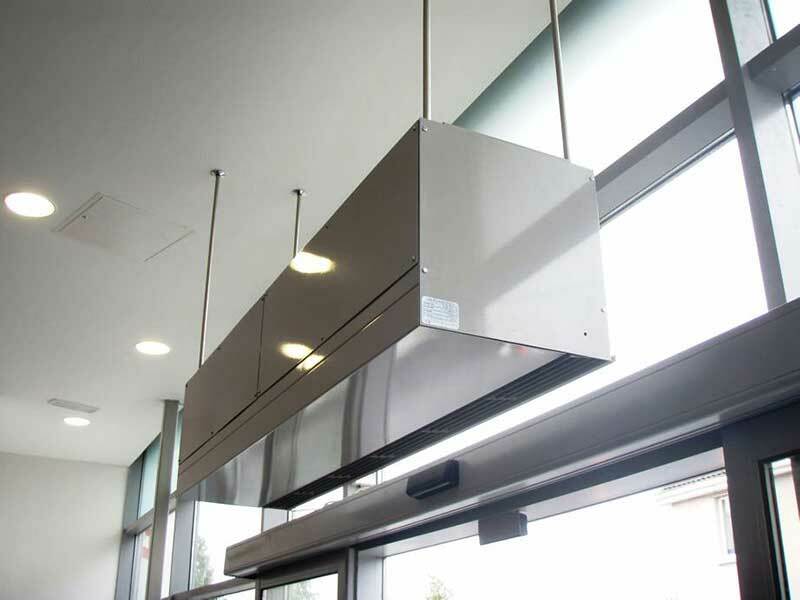 Vertically-installed air barriers are recommended for coolers and freezers to prevent ice and frost build-up caused by air leakage and air exchange between two different environments. 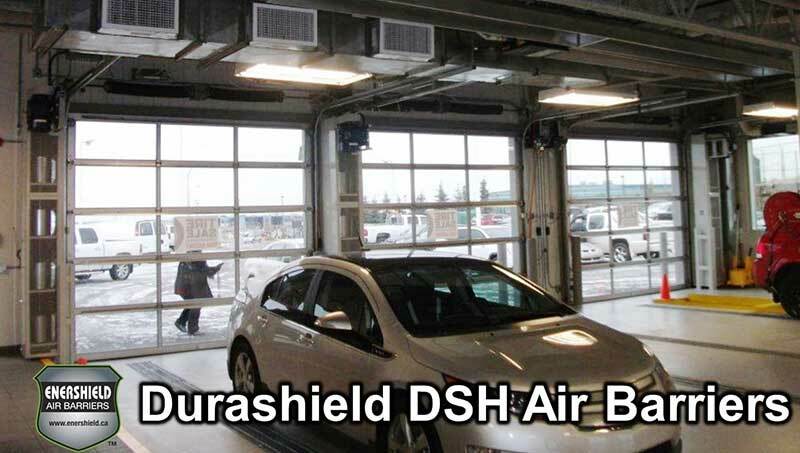 Durashield (DS) is designed for commercial applications with doors that are up to 10' high. 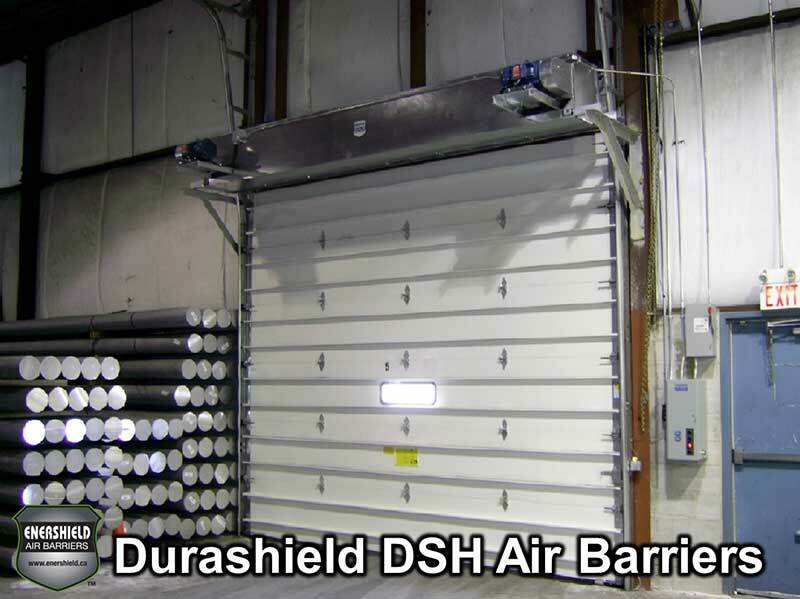 Durashield HD (DSH) is designed for commercial applications with doors that are up to 12' high. 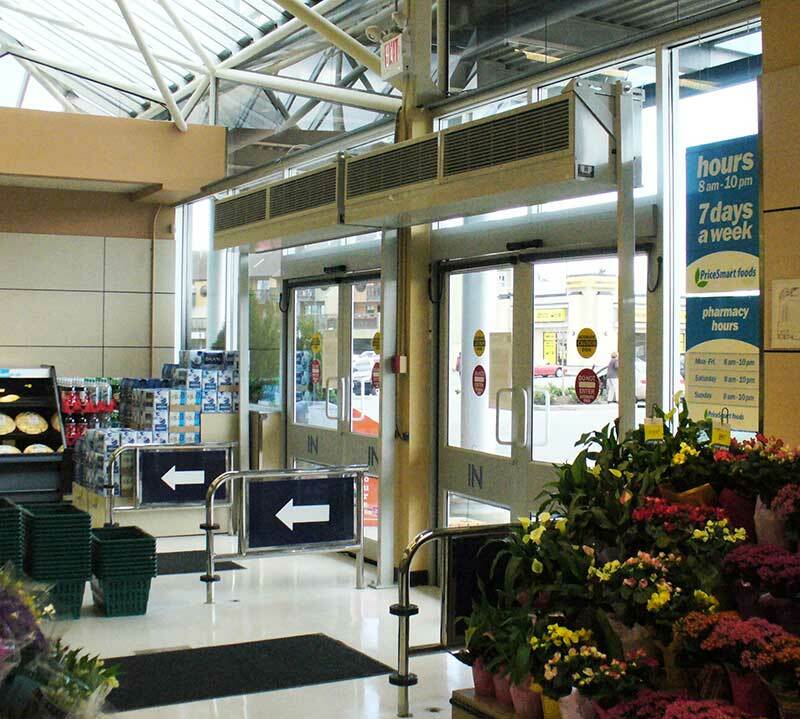 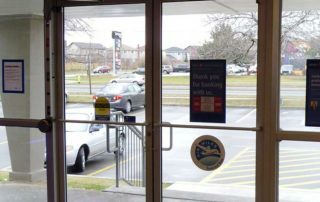 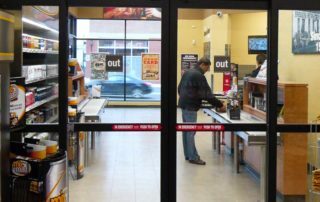 Microshield (MCS) is designed for retail applications with doors that are up to 7' high. 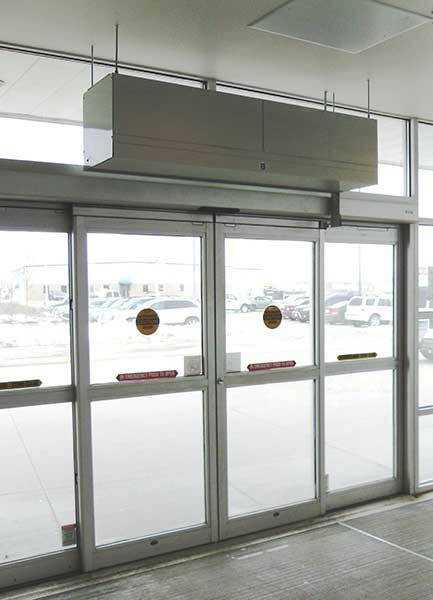 Comfortshield (CS) is designed for retail applications with doors that are up to 9' high. 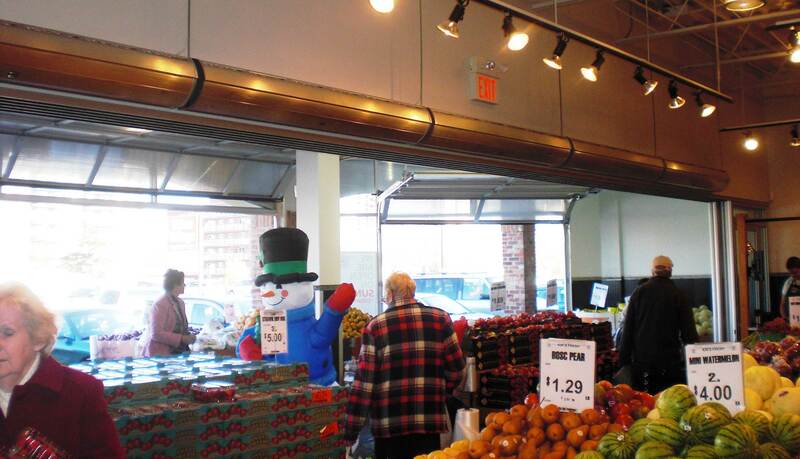 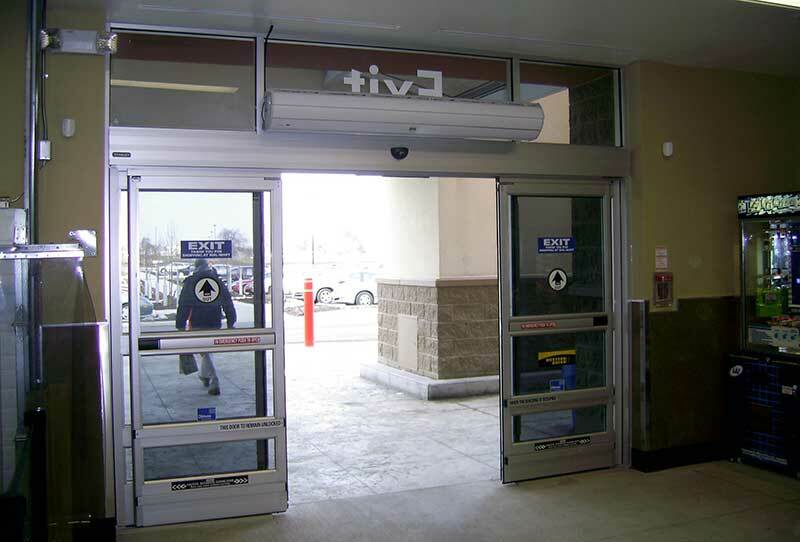 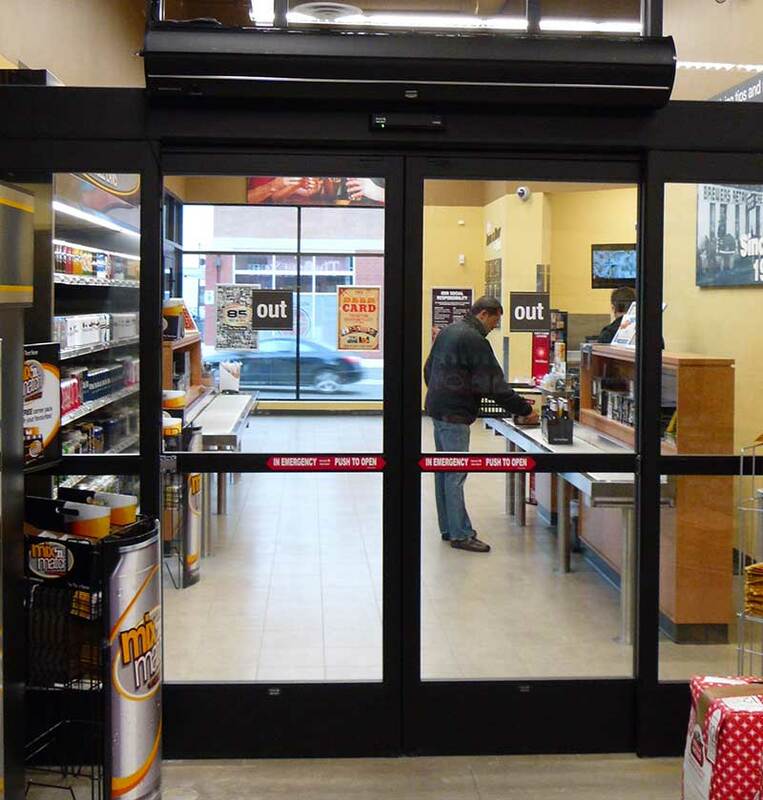 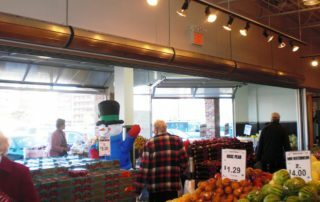 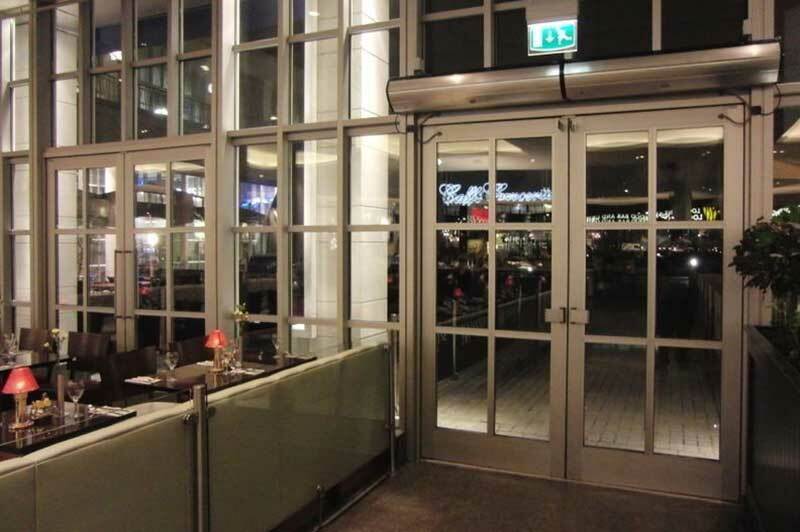 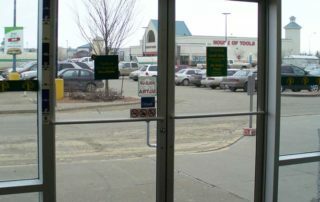 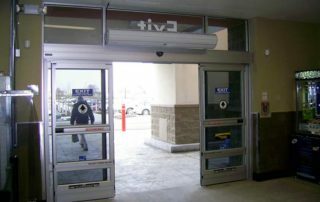 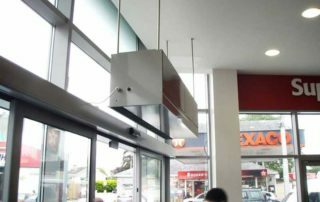 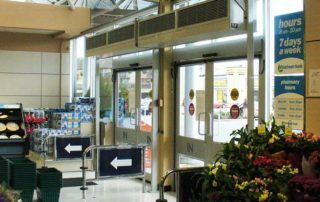 Thermalshield (TS) is designed for retail applications with doors that are up to 7' high. 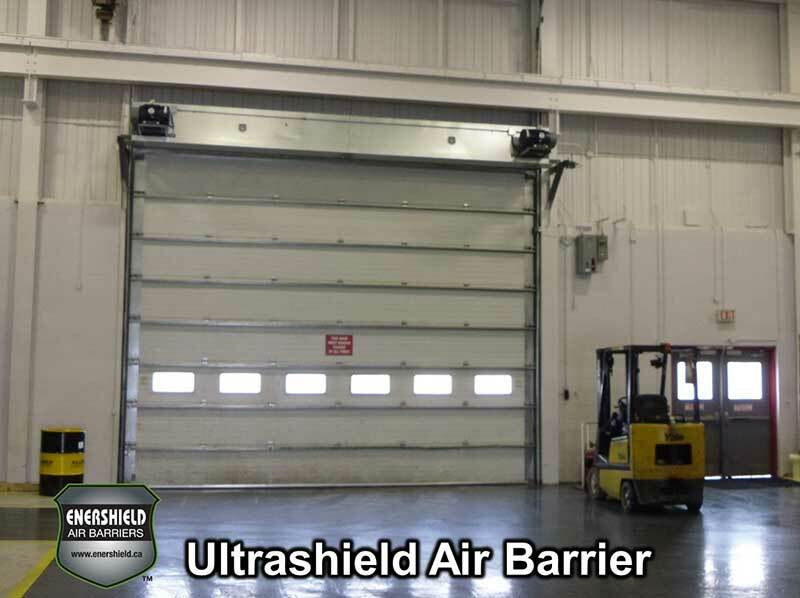 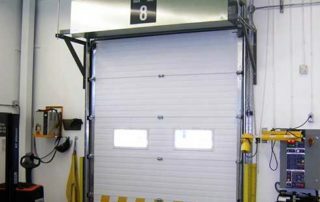 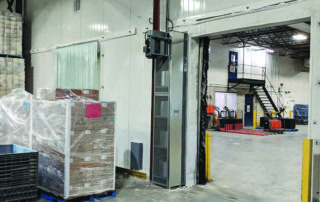 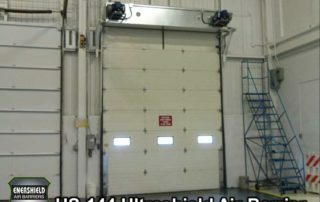 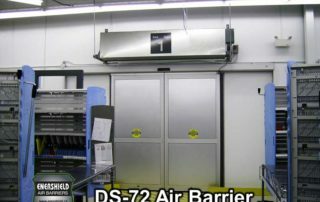 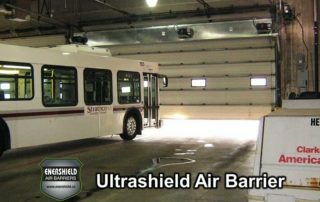 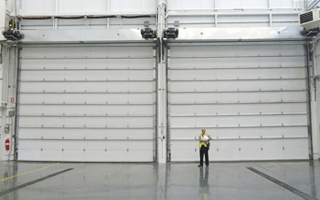 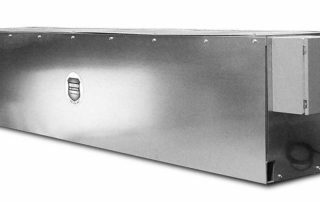 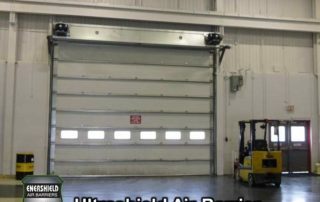 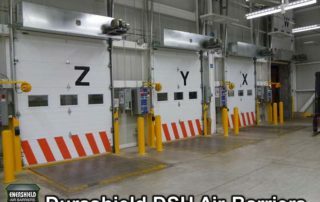 Ultrashield (US) is designed for industrial applications with doors that are up to 18' high. 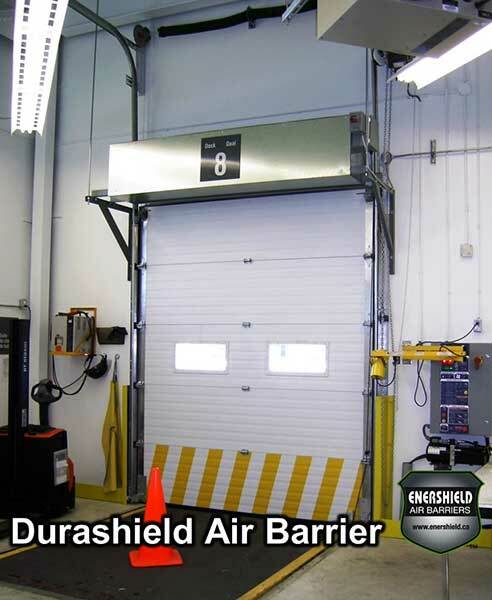 Xtremeshield (XS) is designed for industrial applications with doors that are up to 26' high. 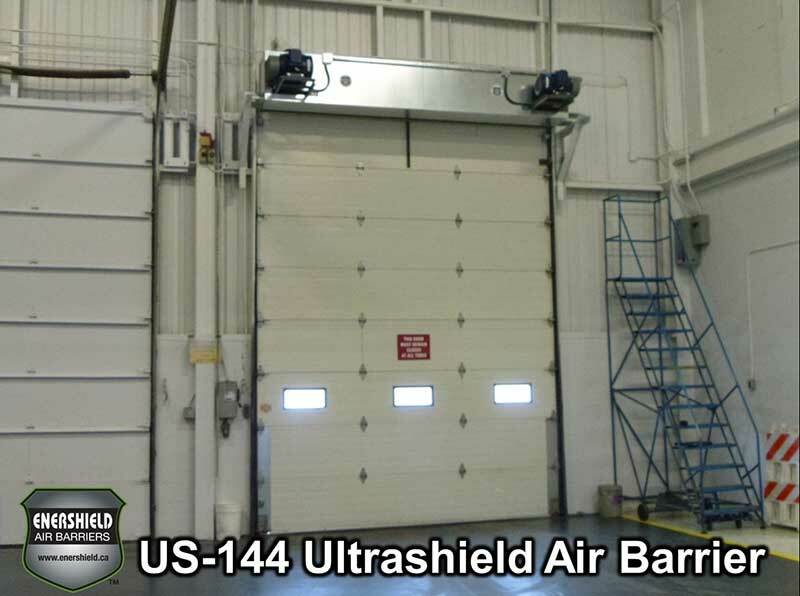 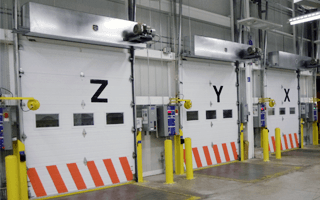 Megashield (MS) is designed for industrial applications with doors that are up to 45' high. 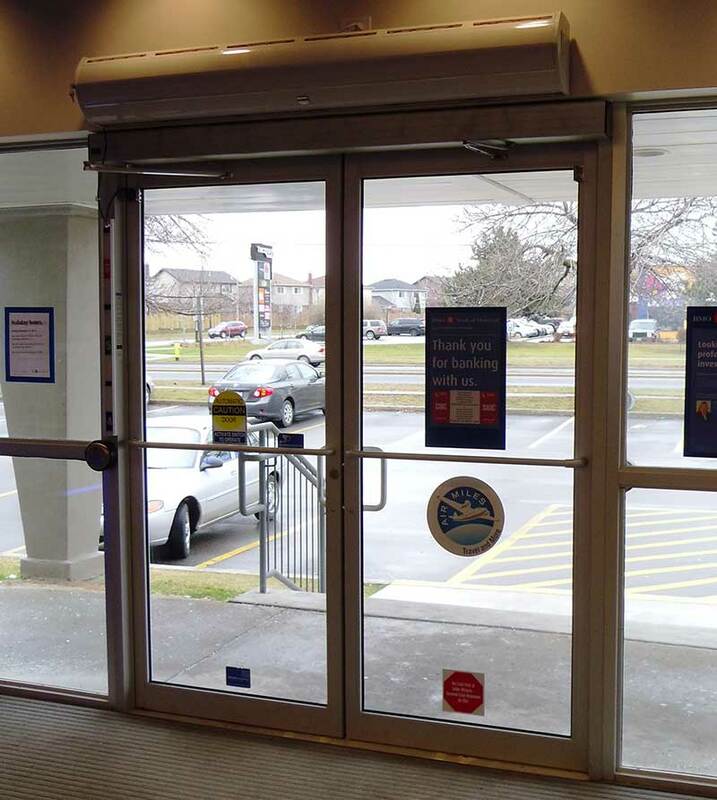 *Model upgrade might be required. 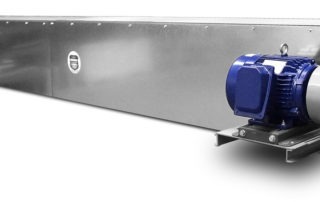 • Marine Duty Upgrade package for wash-down applications. 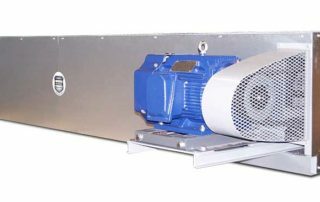 • Variable Frequency Drive available. 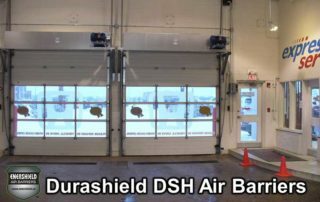 • 2 years: Parts warranty on all models except Microshield. 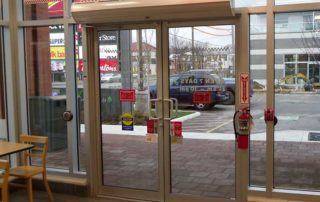 • 1 year: Parts warranty on Microshield. 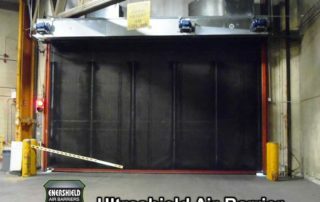 Enershield demonstrates how their air barriers hold up against the high pressure from a fire extinguisher. 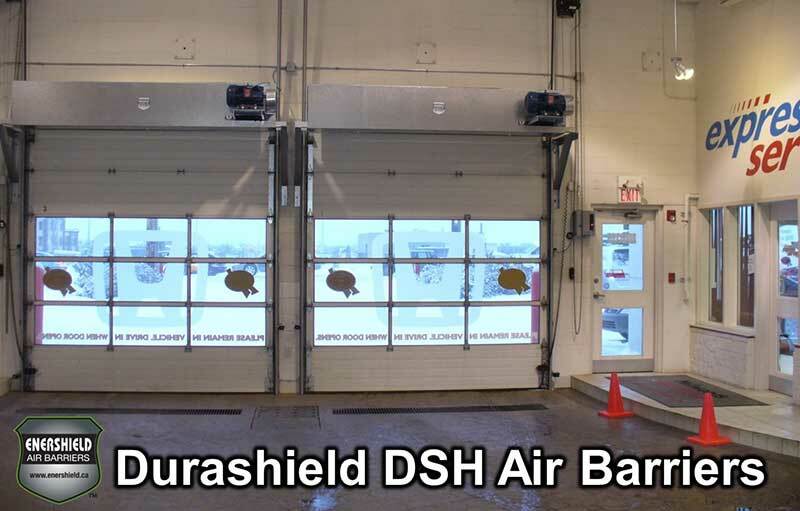 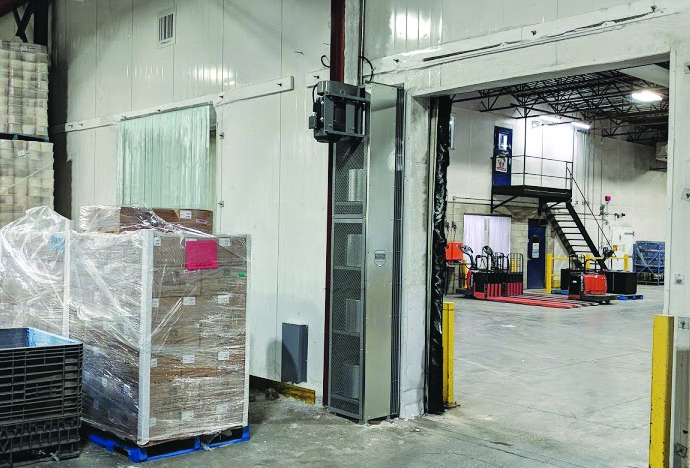 Canadian Tire installed Enershield Air Barriers near their entrances and exits, loading dock area and service centers to enhance indoor comfort for their workers and customers. 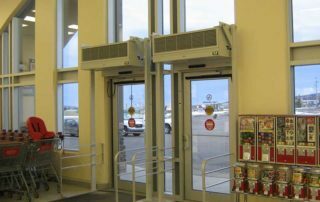 Uni-Select no longer worries about heat loss by keeping their shipping doors open. 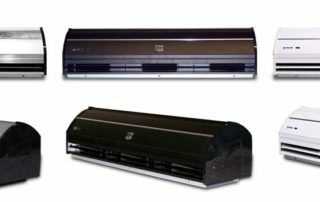 Computers, equipment and indoor workers maintain comfortable temperatures indoors during winter. 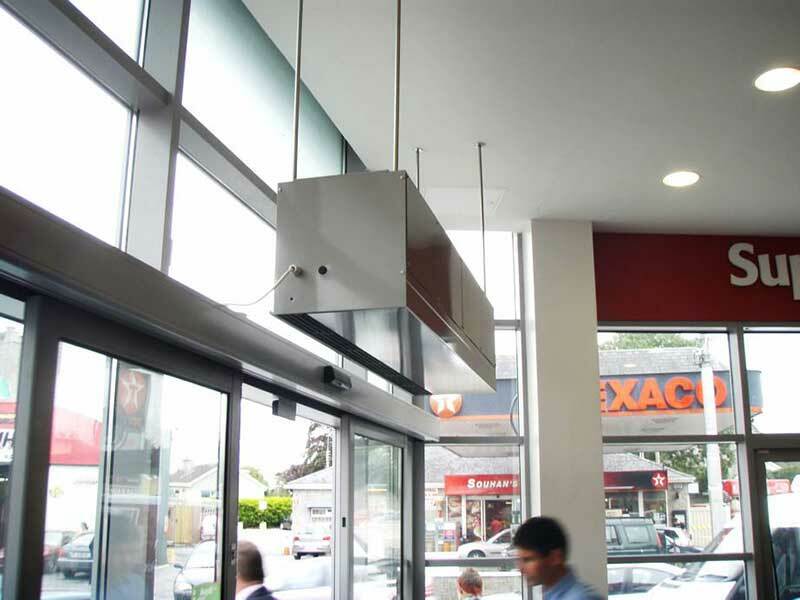 "After 12 months of operation we have seen a reduction of our energy costs by 14%. 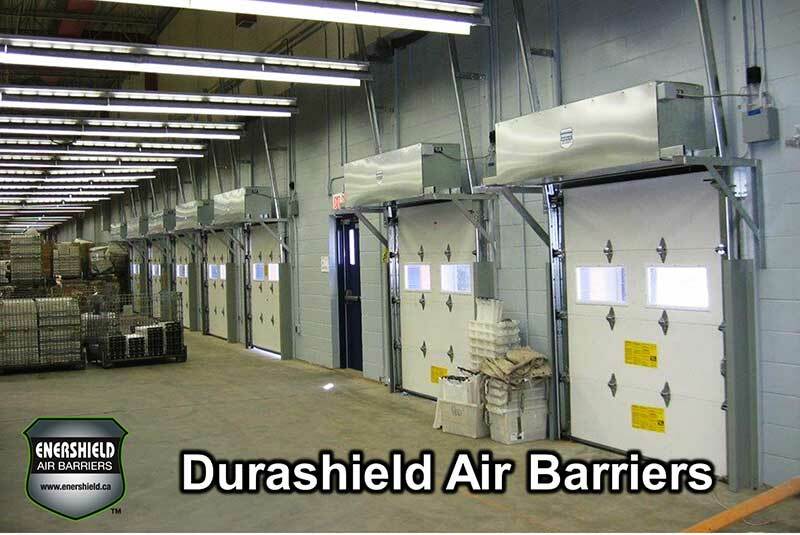 The saving based on a three-year average was approximately $500–700 per month, [meaning] we will have paid for the air barrier by the end of year two."